The finest cult film known to humanity! Camden Town, the arse-end of the sixties. Two struggling, unemployed actors decide some respite is in order and so depart their miserable flat for a week in the Lake District – one that will involve rain, booze, minimal supplies, a randy bull and an even randier Uncle Monty. 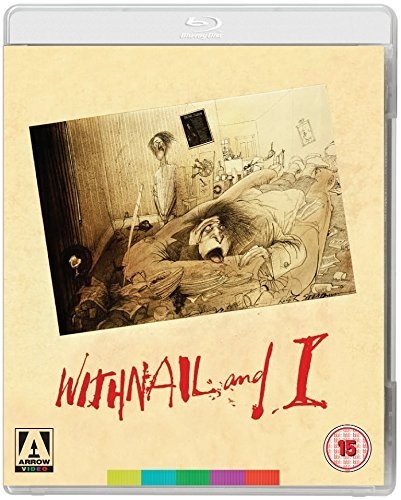 Based on the real-life experiences of former actor turned writer/director Bruce Robinson, WITHNAIL and I has become one of British cinema’s most fondly remembered comedies. A cult film in the truest sense that has also become a classic. Perfectly cast – with career-defining roles for Richard E. Grant, Paul McGann, Richard Griffiths and Ralph Brown – and crammed with irresistibly quotable dialogue, WITHNAIL and I is a sheer delight, even on the umpteenth viewing. New 2K restored disc also comes with loads of bonus features.